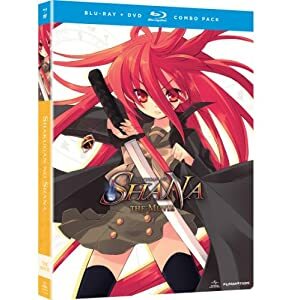 The ever confusing story of Yuji, Shana, Yoshida and the rest of the gang continues in MVM Entertainment’s release of Shakugan no Shana – Season 2 Part 2, but is it more enjoyable than the first half? Find out in our DVD Review. 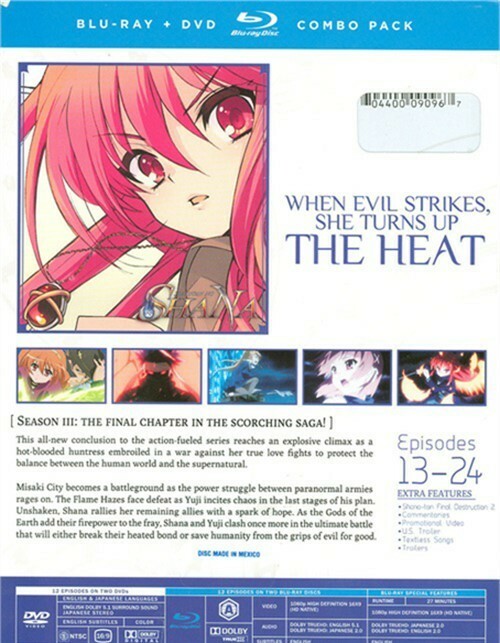 Plot: Misaki City becomes a battleground as the power struggle between paranormal armies rages on. 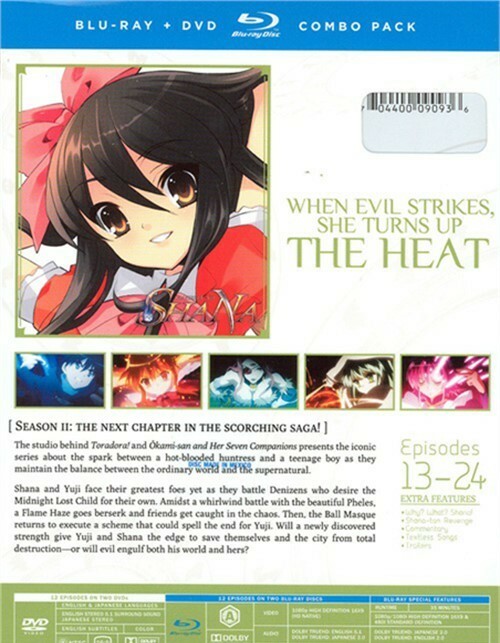 The Flame Hazes face defeat as Yuji incites chaos in the last stages of his plan. 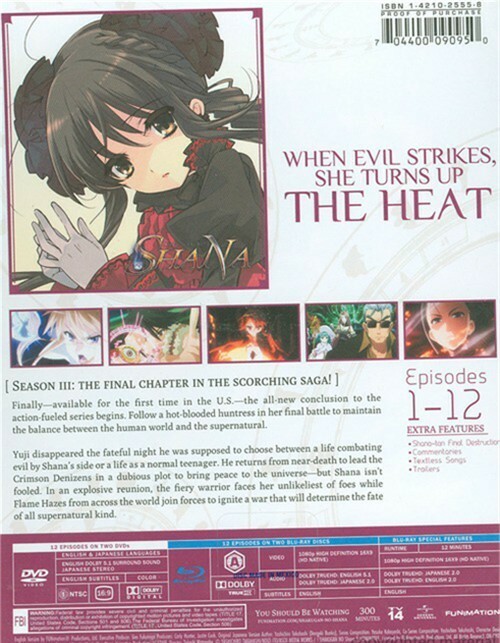 Unshaken, Shana rallies her remaining allies with a spark of hope. 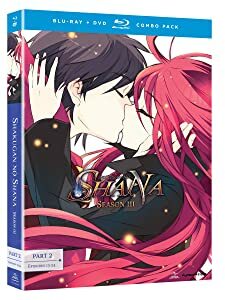 As the Gods of the Earth add their firepower to the fray, Shana and Yuji clash once more in the ultimate battle that will either break their heated bond or save humanity from the grips of evil for good. Plot: Yuji disappeared the fateful night he was supposed to choose between a life combatting evil by Shana’s side or as a normal teenager. He returns from near-death to lead the Crimson Denizens in a dubious plot to bring peace to the universe – but Shana isn’t fooled. In an explosive reunion, the fiery warrior faces her unlikeliest of foes while Flame Hazes from across the world join forces to ignite a war that will determine the fate of all supernatural kind. 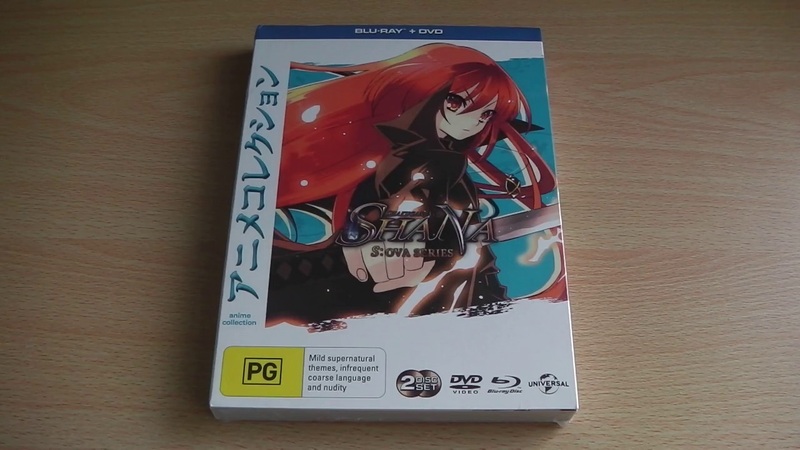 After the emotional conclusion to the first season, as well as a long break from the public eye, Shakugan No Shana returns in the form of Season Two Part One, a two disc DVD set released by MVM Entertainment into the UK, but what exactly does the first half of Season 2 entail? Find out in our DVD review. 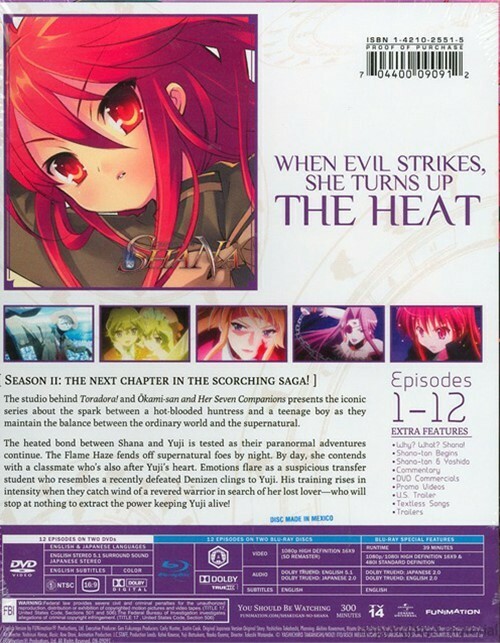 Plot: Follow Shana the Flame Haze in this collection of special missions sure to fuel your passion for paranormal action. 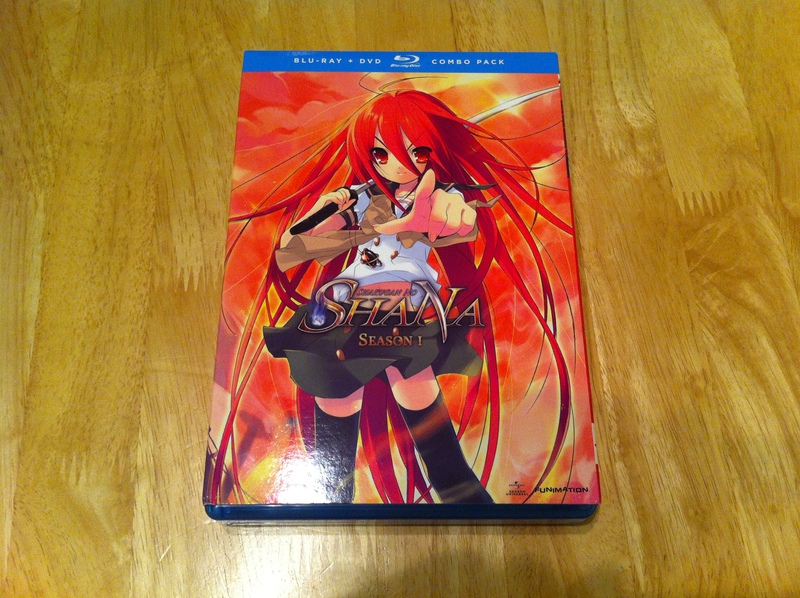 Find out what happens when Yuji accidentally triggers a found Treasure Tool while it’s pointed at Shana! Then, Yuji teams up with Wilhelmina to stalk their fiery friend—whose secrecy has become unsettling. Finally, in a two-part special, Shana tracks a Denizen’s trail by sorting through a Torch’s memories for clues. Her sleuth skills reveal a teenage girl’s heartwarming last days and a predator with a serious identity crisis! 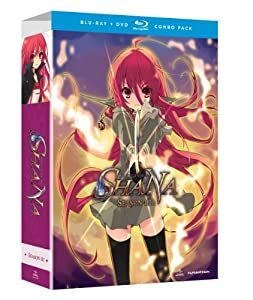 Plot: Shakugan No Shana: The Movie rekindles the first thrilling arc of the seminal action series about a hot-blooded heroine driven to maintain the balance between the ordinary world and the supernatural. 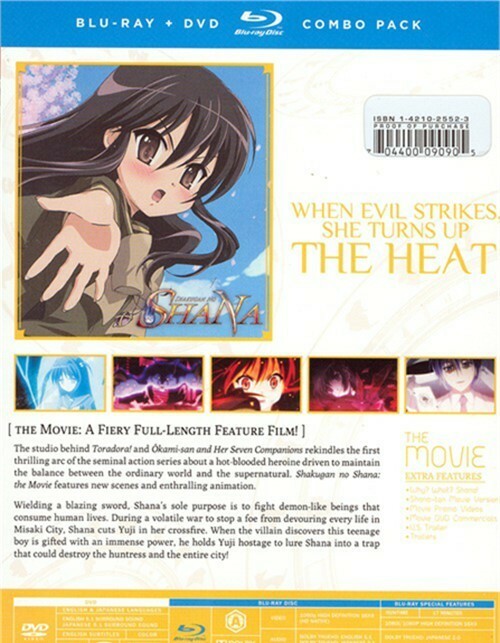 Shakugan No Shana: The Movie features new scenes and enthralling animation. 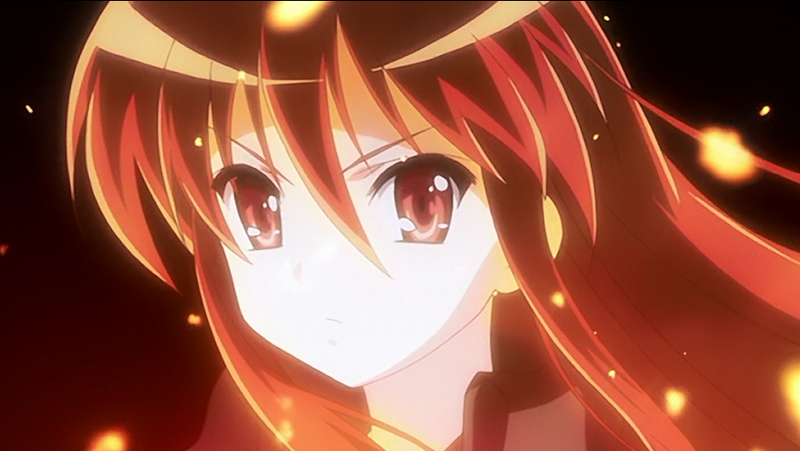 Wielding a blazing sword, Shana’s sole purpose is to fight demon-like beings that consume human lives. 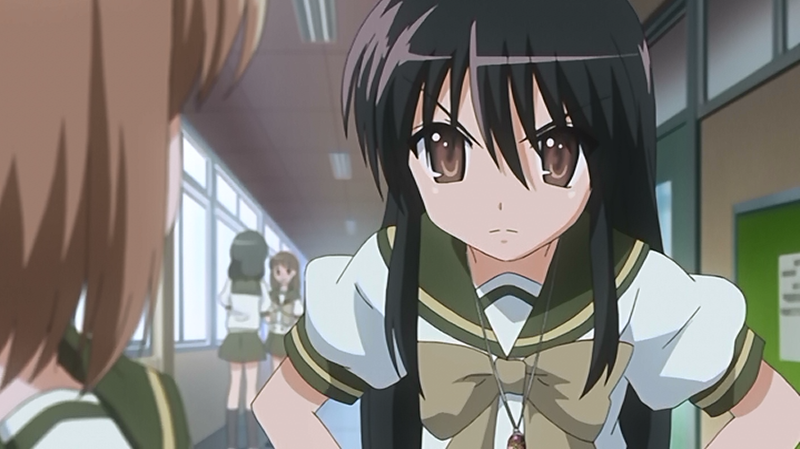 During a volatile war to stop a foe from devouring every life in Misaki City, Shana cuts Yuji in her crossfire. 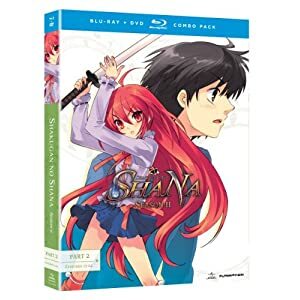 When the villain discovers this teenage boy is gifted with an immense power, he hold Yuji hostage to lure Shana into a trap that could destroy the huntress and the entire city! 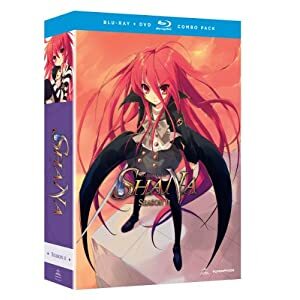 Plot: Shana and Yuji face their greatest foes yet as they battle Denizens who desire the Midnight Lost Child for their own. Amidst a whirlwind battle with the beautiful Pheles, a Flame Haze goes berserk and friends get caught in the chaos. Then, the Bal Masque returns to execute a scheme that could spell the end for Yuji. 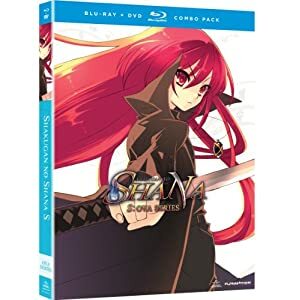 Will a newly discovered strength give Yuji and Shana the edge to save themselves and the city from total destruction – or will evil engulf both his world and hers? 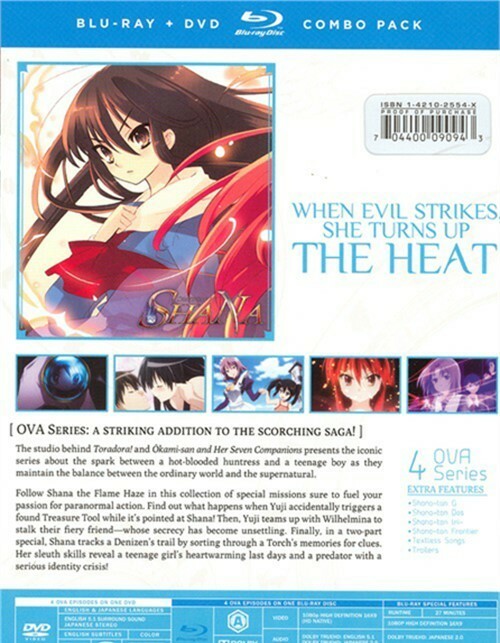 Plot: The heated bond between Shana and Yuji is tested as their paranormal adventures continue. The Flame Haze fends off supernatural foes by night, but by day, she contends with a classmate who’s also after Yuji’s heart. Emotions flare as a suspicious transfer student who resembles a recently defeated Denizen clings to Yuji. His training rises in intensity when they catch wind of a revered warrior in search of her lost lover, who will stop at nothing to extract the power keeping Yuji alive!